The utterly adorable Yeti. He loves winter so much! But sometimes, on the coldest, wettest, windiest of winter days...he misses summer. The Think About Yetis is the perfect book about seasons, emotions, and fluffy little yetis. And it's the perfect time of year to do some book activities because—HELLO—we're in the middle of winter and it's flippin' cold outside. But even if you're not where there's snow, there's still lots of fun to be had! Check out these activities that are perfect for the book's target audience of 3 - 7 years. 1. Make your own yeti—The fluffy, adorable star of the book can also be a fun craft activity! In fact, Arty Crafty Kids had the same idea and made this paper plate yeti in honor of the book. With some cotton balls and glue, kids will have a super fun time making their own yetis. 2. Sledding—Grab a sled or sheet of plastic or something and go slide down a snowy hill! Heck, you don't even need a sled, since you could do it yeti-style on your belly. If there's no snow, then hit up the playground for some rides down the slide. 3. Drink some hot chocolate—The perfect pick-me-up after any cold activity. I usually just make mine with some hot water and a pre-made mix (best ever, right here! ), but if you're feeling adventurous, here's a recipe that'd be fun to make with kids! 4. 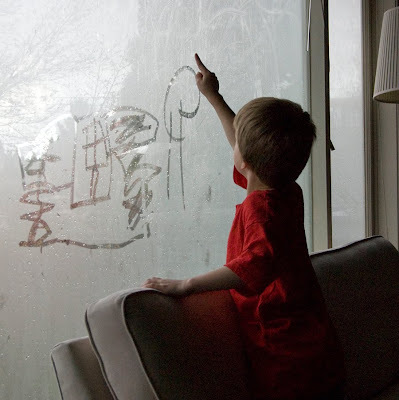 Draw on foggy windows—Always a fun activity! And you could also make into a bit of a science experiment. Find a window or a mirror and see what can be done to make the glass foggy. A steamy shower? Breathing hot air onto the cold glass? Turning up the heat in a cold car? See which works best! 5. Build a snow castle—Go out in the snow and put on your architect hats. See what structure is tallest or strongest. If there's no snow to be had, then do Yeti's other favorite activity: build a sand castle! Which building material do you think, out of snow or sand, would make the stronger building material? 6. Snowball Target Practice—Of course I think this should be an outdoor activity in the snow where you can make a ton of snowballs and practice throwing/tossing them at some target! But you're right, that can get cold and you may be living where there's no snow. So why not try indoor snowball target practice? The image below and instructions come from we-made-that.com. 7. Sing "Once There Was a Snowman"—Here's the ever-awesome Jbrary showing their actions for the song. This is a very popular one with the kids! 8. Sing "Mr. Sun, Sun, Mr. Golden Sun"—Since we sang about snowmen, now it's time for Jbrary to show us the perfect actions to go with this summer song! 10. Indoor summer—pull out the beach towels and throw on your best summer gear. Lay out indoors, play with a beach ball, read some summer books, and pretend the warmest season is actually here! 11. Play "Hot & Cold" hide and seek—speaking of opposite seasons, play a hide-and-seek game that I call Hot & Cold. Have one child leave the room and have the other kids hide an object (perhaps a fluffy yeti!). When the child comes back into the room, the other kids help direct him/her to the hidden object by saying if he/she is "hot" (really close!) or "cold" (faraway--try again!). 12. 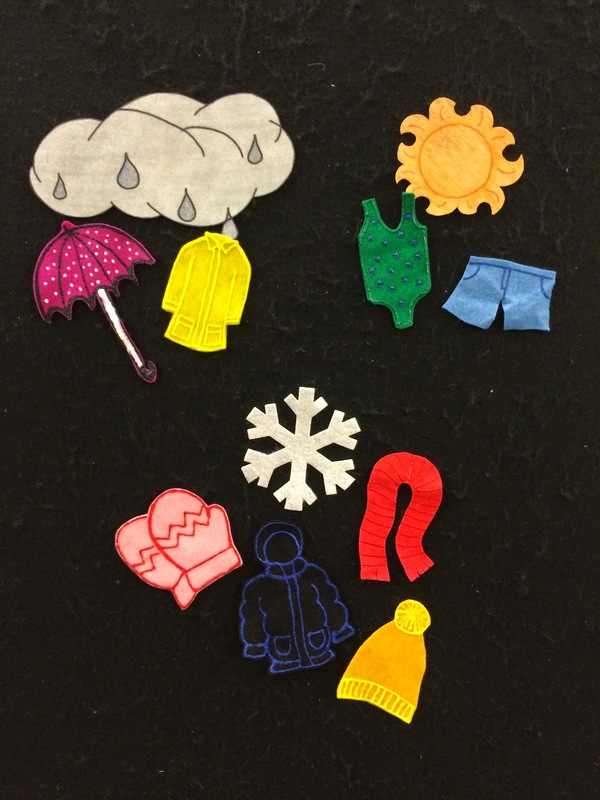 What clothes for what weather?—I made this flannel for my winter storytime a while back and the kids had a lot of fun telling me what clothes belong with what kind of weather. You could even carry it a bit further and take turns listing certain activities that you can only do in certain seasons. 13. Cut some paper snowflakes—Simple, yet classic. Here are some paper folding instructions, but otherwise, just let kids be creative in they're cutting patterns. 14. Eat some ice cream—It really doesn't matter if it's summer or winter outside, this treat is always the best. Better yet, make some homemade ice cream with the kids! 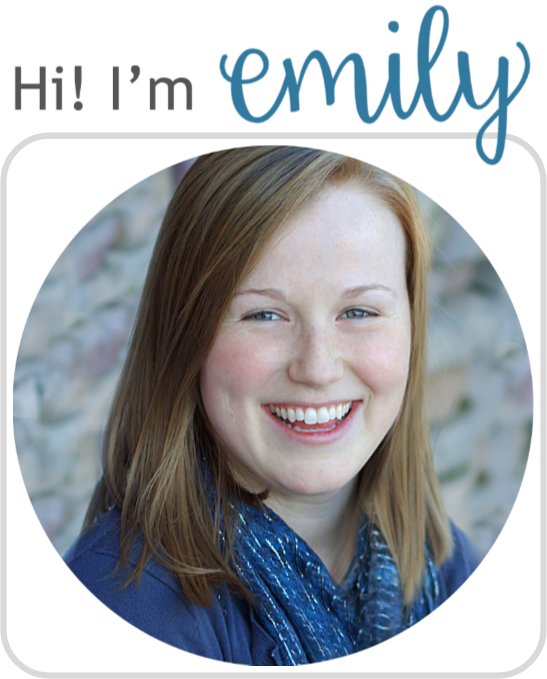 There are some great, fun ways to do just that; my favorite is the Ziploc method. 15. 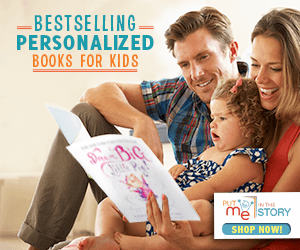 Read more Yeti books—I'm convinced that yeti picture books are now a trend. Check out these other awesome titles featuring the ever-lovable yeti. 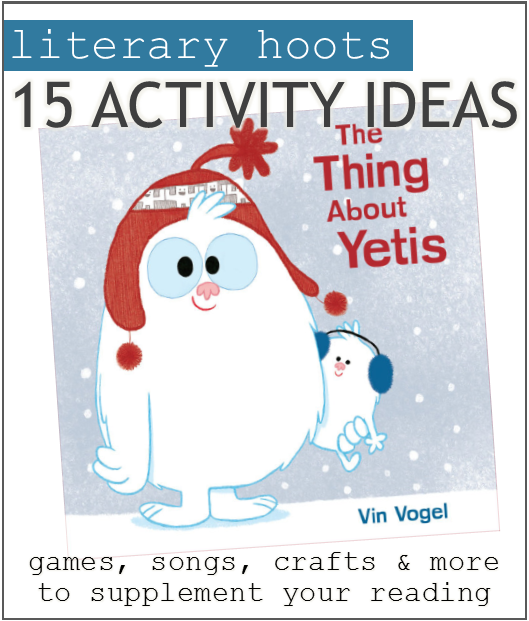 Whether you do one or all, I hope you have a lot of fun with these ideas to supplement The Thing About Yetis.